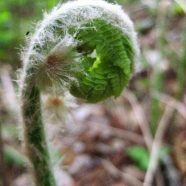 Home » Posts Tagged "wild edibles"
Ferns: Can You Eat Fiddleheads? A fiddlehead isn’t a type of fern–fiddlehead simply means a young fern. There are fiddleheads you can eat, and then there are ones you shouldn’t fiddle with.